A week ago we went to New York City to spend some time with family. I was really hoping to re-visit the incredible Toys R Us in Times Square or F.A.O. Schwarz while we were there...and maybe even stop in on the American Girl store to see the new Girl of The Year stuff. For this trip, though, my crutches slowed me down a bit and so we decided to only visit American Girl, since I have never been to that particular store before. I was curious to compare it to the impressive store in Natick, Massachusetts. My mom, my sister, my niece and I all went to the American Girl store together, each of us approaching the outing with a different perspective. The neat thing was that despite our different tastes, and with the huge array of dolls and accessories to look at, we all agreed about what our favorite item in the whole store was--and it wasn't at all what I expected. It was the amazingly charming BeForever miniature doll, Kaya. When the BeForever line first came out, I looked at all of the dolls online and decided to purchase Mini Rebecca and Mini Kit. For some reason Kaya's catalogue pictures didn't grab my attention. I have already reviewed Mini Kit, so in this post I will take a look at Kaya and Rebecca, and will also share some quick impressions of the Manhattan American Girl store. 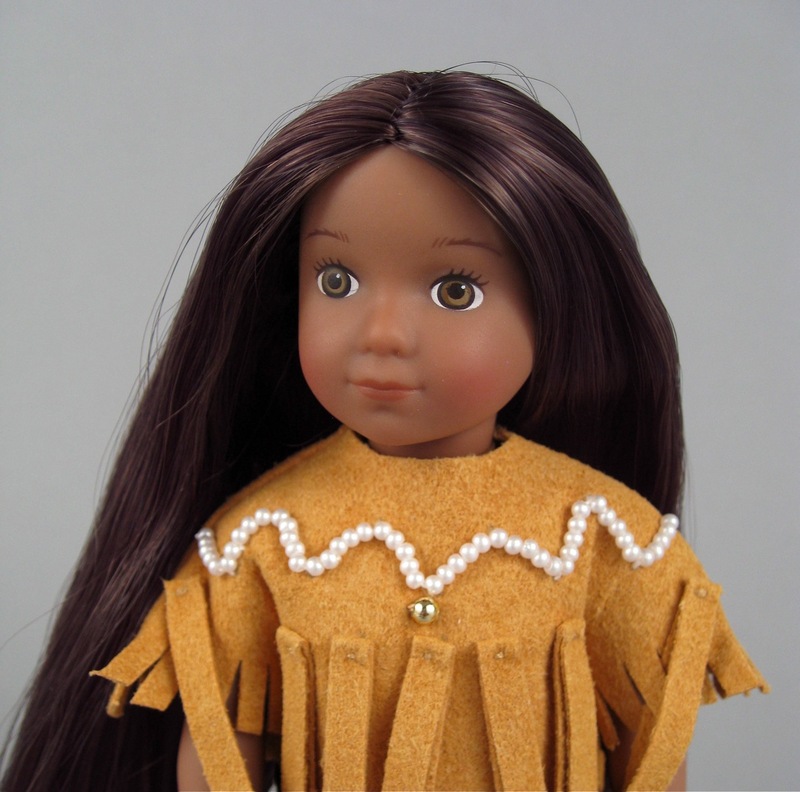 American Girl's Mini Kaya, $25. 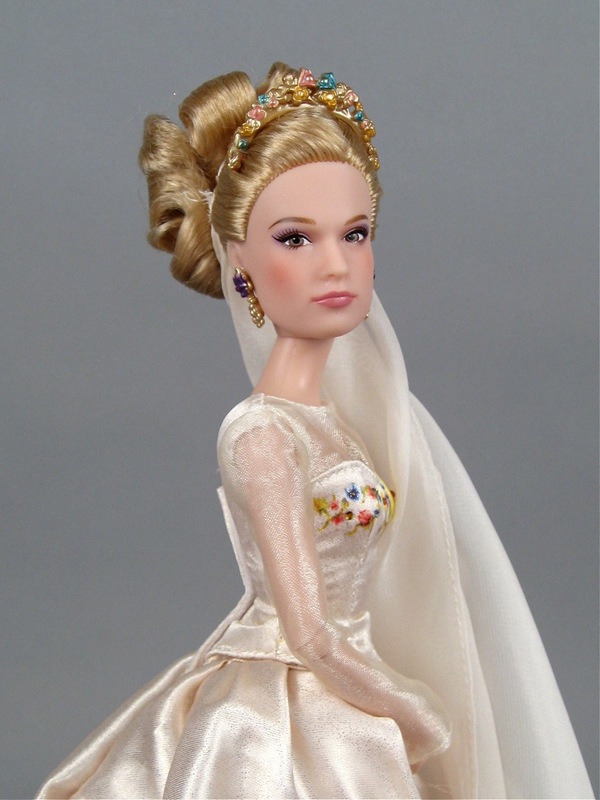 "Cinderella and the Prince" from the Disney Store and Mattel's "Cinderella Wedding Day"
I'm back! For those of you not on Facebook, I'll fill you in: I was in a bad car accident right after the Phicen review, and I broke my leg. Everything is going really well, but I am about the slowest person on the planet right now, so it's just taken a really long time to get back on track. The other thing is, this review is super-long and involves three dolls, so it would have taken me a while to create even with two fully-functioning legs. I could have just chosen to review a simpler doll, I suppose, but this review involves Cinderella, and when Cinderella is on the scene, I find it difficult to think rationally. Have I mentioned that I'm ridiculously excited about Disney's Cinderella live action movie that is coming out in 18 days on March 13th?? I've read comments around the internet suggesting that Disney really blew it by making another Cinderella movie, and that everyone has seen the story enough times already. I respectfully disagree. For me, this movie is (in true Disney fashion) a dream come true. I never dared to even hope that there would be another Cinderella movie...but here it comes. Premiering in less than a month. I have watched the trailer for Cinderella about thirty times now (no exaggeration...) and it makes me weep every time--especially the part when Ella's mother says, Where there is kindness, there is goodness, and where there is goodness...there is magic! Ahh! Goosebumps! It's going to be an amazing movie. It has to be. Of course I have also been anticipating the new Cinderella doll lines with significant enthusiasm. Both the Disney Store and Mattel have produced versions of the main characters, and I thought it would be fun to do a comparison of the first pair of dolls I was able to get my hands on: "Cinderella and the Prince" ($69.95 from the Disney Store) and "Cinderella Wedding Day" ($29.99 from Mattel). Cinderella from the Disney Store's "Cinderella and the Prince" set.